Undeniably Retro; the Scooter Bar chair features a sculpted high back constructed of polywood veneer surrounding a plush inside seat / back design accented by button details for added comfort and is supported by chrome column and round base. Color options include black or white leatherette. 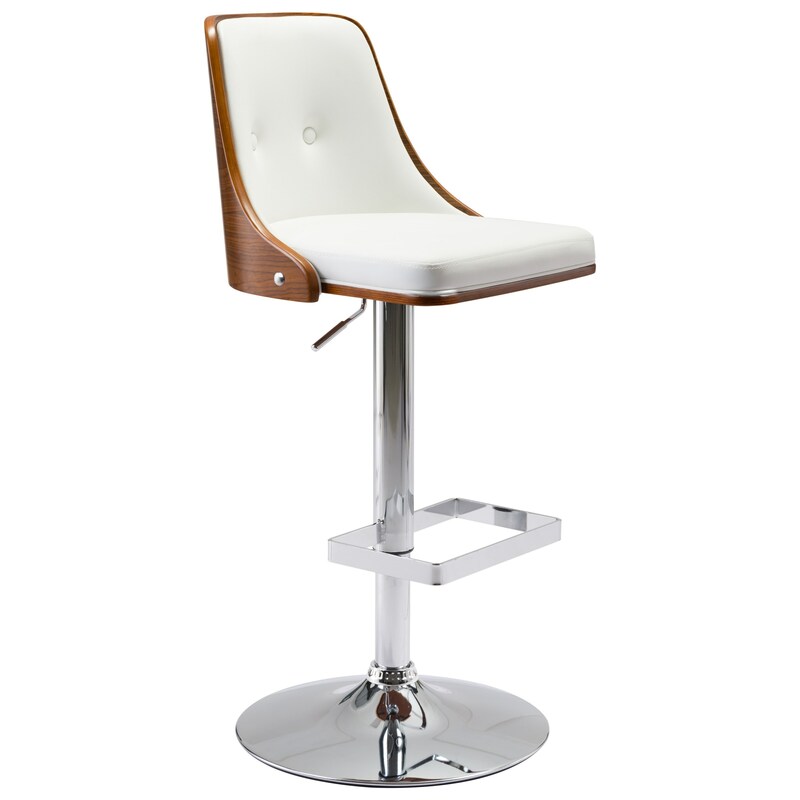 The Scooter Adjustable Height Bar Chair by Zuo at Del Sol Furniture in the Phoenix, Glendale, Tempe, Scottsdale, Avondale, Peoria, Goodyear, Litchfield, Arizona area. Product availability may vary. Contact us for the most current availability on this product. Browse other items in the Scooter collection from Del Sol Furniture in the Phoenix, Glendale, Tempe, Scottsdale, Avondale, Peoria, Goodyear, Litchfield, Arizona area.